This week, the WordPress Photo Challenge asks us what “local” means to us. I find the theme for the challenge easy but interesting. I associate the word “local” with Lübeck, the town where I was born, the town I am grown up and the town where I still live after so many years. I do even associate the word with Schleswig-Holstein, the federal state where I live, but I thought the challenge would give me a reason to share a photo from Lübeck, even if you can already find many photos of this city on my blog. It’s definitely not the most beautiful city, but you can find some very old and historical buildings, and brick gothic architecture. 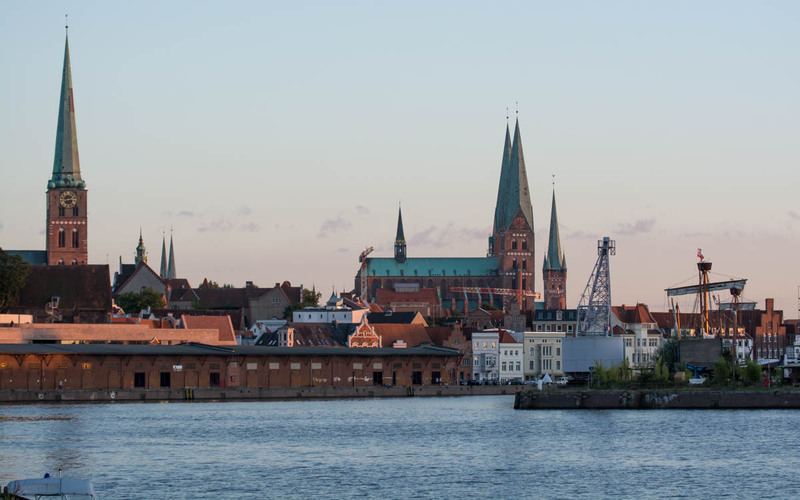 Also you can learn about the Hanseatic League (Hansa) in our city, because well, Lübeck was the largest and most powerful merchant base and capital of the medieval trade organization. If you are grown up here, you forget that it’s special, but the many tourists who read the informal signs in front of historical buildings remind you that the city definitely has to offer something, and that tourists come here for a reason. It’s probably like with everything, if you see something everyday, you don’t appreciate it as much as someone who gets the first impression. Nonetheless, I like the city, and I appreciate it much more since I started with photography, because this activity opens your eye’s and you’re able to rediscover the beauty in your own town. If you ever come here, pay close attention to the inner district, the historical district of the city, that’s where you find interesting things and where you can learn a bit about Northern European history. Additionally, our city is a nice hotspot to discover the many surrounding and as much interesting cities like Hamburg, Schwerin, Lüneburg, Mölln and Ratzeburg or Kiel the capital of Schleswig-Holstein, just to name a few big and smaller ones. It just takes the time of drinking a coffee during the train trip until you arrive in Travemünde, the small town at the Baltic Sea. Not only can you discover Schleswig-Holstein very easily from our city, Mecklenburg Vorpommern is right next to us too, and Lower Saxony not far away either. I probably don’t lie if I say that most citizens in Schleswig-Holstein are proud of the place, considering that we have both, the Baltic Sea and North Sea surrounding us, and not to forget the beautiful flat rural landscapes. We do even have our own TV and Radio channel called “Norddeutscher Rundfunk“, they do broadcast for our and the surrounding federal states, and they do constantly remind us how beautiful our area is, that’s maybe one of the rare cases where you see me agree with a public broadcaster (laugh). To answer the question, what means “local” to me? It means that I feel home at a place that I don’t want to leave. There are many places that I saw, and many that I’d like to see, but at the end I can promise you that I always will come back to where I feel home, it’s Schleswig-Holstein. Now if this didn’t sound like a declaration of love or a travel ad, I am going to eat my hat. Simply not enough Churches – and I bet that there are countless there that need food and shelter…. Hehe, yeah, there are many and they are old. They do also call our city the city of the seven spires. You can see them far away from the distance, they are used as symbol in many logos about our city, for example company logos and so. Today it’s not so much about the purpose, they are preserved because of the historical background alone. I am not religious, but from the architectural standpoint, I like them. Sometimes I go in there, they are museums today. I talked with so many people about this, with friends or family members. If they come back from a trip through Germany, for example as you said Southern Germany… they tell you how beautiful the time was, but in the next line you hear them saying “But now I am happy to have fresh breeze again” referring to the beautiful sea breeze. But why do I tell, you know what I mean 🙂 I always felt the same. And then what you said, it’s nice to be somewhere else in Germany, but something in your head constantly reminds you that something is wrong… you miss the baltic sea 😀 What you said with the fish, yeah, that’s pretty much it! I like your definition of local. That is how I would define it as well. I think you live in a very interesting part of Germany and it is one I would like to see if I ever had the opportunity to visit Europe. The south is beautiful too, but it always brought me back to the north. I think it’s mainly about the sea and the fresh sea breeze. But then I am generally not someone who is very flexible… I knew people who would move every year, because they get bored of a place or due to the fact that they found another job in another city, but I wouldn’t be able to do that. The only thing I could imagine, but you followed the story, is to live somewhere around Lübeck, and Reinfeld would be a nice option in the future, who knows. This is still not far away fromthe Baltic Sea, and Lübeck is just next door.